Have you heard/read this quote? Then, because my brain just works this way now, I started thinking about WordPress plugins. In a seminar titled WordPress Hosting Demystified, my colleague Derick Schaefer discussed a 2011 WordCamp survey that uncovered an apparent conundrum. The most liked and the most hated component of the WordPress publishing platform happens to be the same thing: plugins. 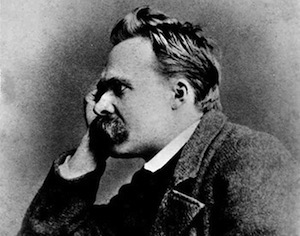 As Mr. Nietzsche might suggest if he were alive today (and publishing via WordPress, which — in my opinion — he would be) plugins can certainly add crucial functionality to the WordPress core, but if you’re not careful, they can also cause your site to go down in metaphoric flames. Part of the managed WordPress hosting service we provide at Synthesis is troubleshooting issues with our clients’ sites. More often than not, damaging issues end up being traced back to the very plugins that publishers use to move toward their goals online. Don’t be so scared of plugins that you shy away from them completely. There’s a reason why plugins, and the versatility they provide, are the most loved component of WordPress. So we’re not trying to scare you. Plugins are good. If you’re a Synthesis customer, take a look in your plugin menu, you’ll see a “must use” section. We automatically install these on every Synthesis site to enhance security, performance, and communication. You can trust them because we’ve tested them extensively, and since they are on every site we host, you can be sure that we will maintain them. If you’re with another hosting company, and you’d like a list of these plugins shoot us an email anytime. This leads into tip #2. WordPress is an open source community. This is great. It also means that anyone can write and submit a plugin to the WordPress plugin repository, which means that there will be a wide range of good and not-so-good plugins for you to choose from. Has the plugin been updated recently to be compatible with the latest version of WordPress? Does it have a strong rating (at least 4 stars or better) from the WordPress community? Do the reviews mention anything about decreased performance or security holes? When you visit the plugin author’s website, does it appear current? Does it offer support? For most needs, you’ll usually find several plugins to choose from. Do your vetting and choose the best one. If your site needs some bit of functionality that isn’t common, you may not be able to find a plugin you can trust. If this happens, first consider whether the functionality is truly necessary. One of the biggest mistakes WordPress users make is letting a desire for “fun” — or intriguing functionality — compel them to add a plugin they don’t actually need. Plugins should only be installed on an “as-needed” basis, not on an “as-wanted” basis. By keeping this simple tenet in mind, your plugin strategy will already be much more solid than most. If you do have an uncommon functionality in mind that’s truly a need, but that has no existing plugin solution, consider hiring a trusted developer to write it for you. There are a number of great plugin developers out there who will do this, and the real cost is often less than you might think. Ensuring that you’re not introducing long-term performance and security risks to your site is often worth the short-term cost of making better plugin choices or simply developing one yourself. Bonus tip: A rock-solid WordPress theme framework might be the answer you’re looking for. This is something people often overlook, but really shouldn’t. It might eliminate the need for that plugin you’re searching for, or even for several you’d typically install. Our secure Genesis Design Framework for WordPress includes functionality for basics such as inserting tracking scripts, SEO necessities like meta tag control, and much more. If you can kill several birds with one stone, why not do it? We realize that not everyone will heed our advice — or have the time to — when it comes to plugin vetting. We’re WordPress users too. We’ve done plenty of the vetting for you and are happy to share our experience in this area. One reason we at Synthesis were so excited to join forces with the folks at Copyblogger last year is because we are big believers in all of their products. Scribe, comprehensive content optimization software that we’ve been using since its earliest stages. It continues to improve and is a great resource for anyone creating, connecting, and spreading great content online. Premise, which allowed publishers to easily build secure membership sites, landing pages, securely sell digital products, and much (much) more. Premise is no longer available — the best features in Premise became part of our Rainmaker Platform. Nathan Rice has plugins for a homepage image slideshow and single post templates, among others. Ron and Andrea Renneck developed Pro Domain Mapping in 2008 to simplify the way domains are mapped into WordPress multisite installations. It’s now available exclusively to Synthesis customers with multi-site installs. Ron has contributed a number of great plugins to the WordPress repository. Logic suggests that people who’ve actually worked on writing the core WordPress code should be amongst the most highly trusted plugin developers. We’ve found this to be true. And then, of course, there are the legends of WordPress plugin development. Frederick Townes, who developed the W3 Total Cache plugin that we use on Synthesis, with specifically tuned settings. Joost De Valk, who has an extensive library of valuable plugins at his site Yoast. And there are others who I’ll highlight in future posts. What do all the plugins above have in common? They provide necessary functionality for sites we manage and have fully vetted developers. Thus, we can and do employ them with confidence; and they greatly enhance our WordPress experience. That’s what plugins should do: enhance your WordPress experience in necessary ways. Click here for a list of our currently recommended WordPress plugins. Thanks for this article, Jerod. I’m a huge fan of WordPress, and have been guilty of getting carried away with plugins. These were solid tips and great reminders. Visiting the plugin author’s website is the one that always amazes me – when someone goes to the effort of developing and sharing a plugin and then doesn’t even have an operational website, you’ve got to wonder – yet, I have come across this quite a few times and once I took a chance, but quickly learnt my lesson. I fully agree with Jerod’s 4 bullet points around how to spot a shaky plugin – I am not so sure how reliable the ratings are though as it seems to me that even if a plugin has hardly even been used, reviewed or commented on, it can also have a good rating. Perhaps shaky developers launch a plugin and rate it themselves? The biggest thing I see with plugins and users is they search for one that will seem to fit the job without doing some due diligence and ensuring its updated and from a reputable source. If it doesn’t work they just move on to the next leaving it activated and opening your blog to potential danger. Excellent article and love the way you analyzed it at the beginning. Plugins are such a great way to go if you are looking to accomplish certain goals faster. With plugins as with much else in life… Less is almost always more. Good thoughts here Jared. Genesis is a great Framework. Love building sites on Genesis. Also good practice is to keep the installed plugins to a minimum, and delete the ones you don’t use (not just deactivate). Lots of plugins can slow down your site and they can be a nightmare to maintain.